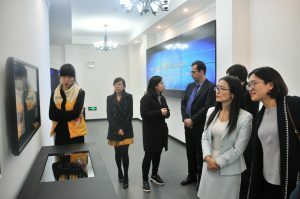 From 27 to 31 March 2017, the Seconded European Standardization Expert in China (SESEC) was invited to participate in a series of activities of standardization. During the period, SESEC introduced the audience the European standardization system and European standardization practices. 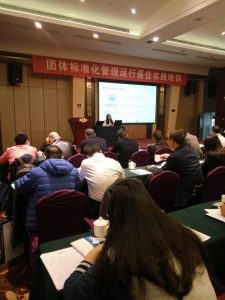 On 27 March, Dr. Xu of SESEC introduced European product quality infrastructure system and European standardization system for participants in the seminar of the “European Quality Infrastructure and Standardization”. On 29 March, Dr. Xu elaborated on the ETSI practices in standardization when attending the training session of the “Good Practice on Management and Operation of Association Standardization”. SESEC took part in the workshop of the “European Quality Infrastructure System and Market Surveillance”, held by Hubei Standardization and Quality Institution on 30 March, and presented on European product quality supervision system and operating mechanism for the audience. The activities provide SESEC a window to communication with more standardization organizations and frontline standardization practitioners, and draw wide attention on European standardization.